Scott Brundage of Cummings School of Veterinary Medicine at Tufts University has worked on farms since he was a child. He attended an agriculture high school and college. 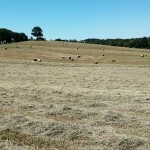 As Herdsman of Cummings School Farm, Brundage helps manage the university’s 594 acres located in North Grafton, Massachusetts. He cares for dairy cattle, beef cattle, and sheep; manages livestock owned by outside clients; tends the farm’s crops; and educates future veterinarians about farm life. As the eat-local movement grows, more people are raising their own meet and eggs, and heading to Cummings School to learn the basics of animal husbandry. Each year, the New Entry Sustainable Farming Project, a nonprofit training program for new farmers run by the Friedman School of Nutritional Science and Policy and the Cummings School, offers a variety of field schools for veterinary students, farmers, and the public. 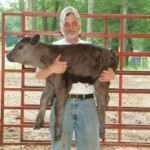 Brundage teaches various farm management selectives, specialty courses including the popular Heifer Watch where students gain hands-on experience with cattle parturition (birthing). 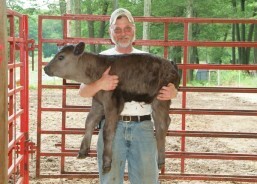 Students learn proper calving presentation, cattle behavior, and calf care during complications. Calving season starts in January and large animal students take turns with 4-hour calving watch shifts that run day and night. In addition to selectives, Brundage teaches Sheep School, one in a series of Livestock Field Schools. 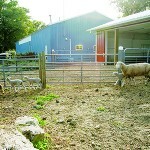 Some 200 veterinary students work with the farm’s flock of sheep during their first- and second-year clinical rotations. 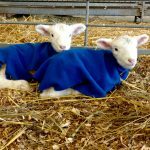 “Many of our students have never worked with livestock before,” says Brundage, who teaches students everything from basic sheep handling, including sheep tipping, to performing vaccinations, de-wormings, and ultrasounds for pregnancy checks. Brundage serves as a mentor, helping students find their footing, and often remains friends with graduates.